The closed unit status was revoked upon the Russian president’s order shortly after the name of the town popped up in London’s investigation into the alleged March 2018 nerve gas attack. The town of Shikhani, in the Saratov region, mentioned in the British probe into the poisoning of Russian former intelligence agent Sergei Skripal and his daughter, lost its status as a closed administrative-territorial unit, the Russian newspaper “Novaya Gazeta” reported. It was further specified that the status had been withdrawn only from Shikhan-1, the town itself, while the military community, called Shikhani-2, also known as Volsk-18, retained its pass control and is still guarded by the military. It houses the Ministry of Defence’s central 33rd research centre, which studies radiological, chemical and biological protection. The status of the closed administrative-territorial unit Shikhani was revoked upon an order issued by Russian President Vladimir Putin last July. 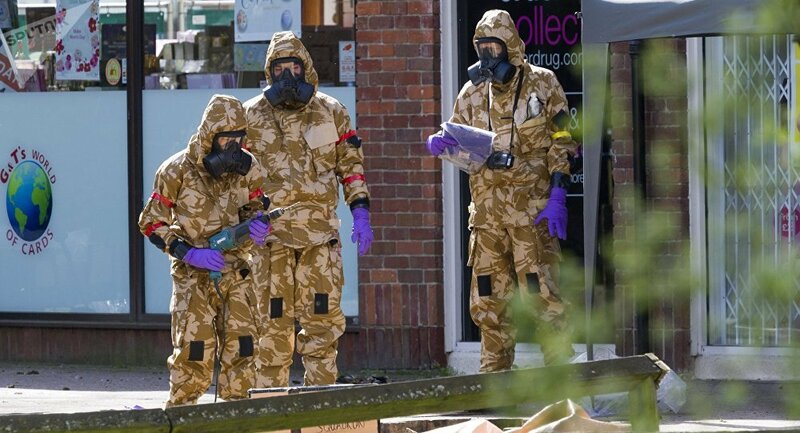 In April 2018, The Times reported, citing sources in British intelligence, that the nerve agent A-234 "Novichok", which London claimed had been used to poison the Skripals, was developed precisely in Shikhani during the Soviet era. However, the UK failed to prove that the gas used in the Skripal attack had been produced on Russian soil. On March 4 2018, Skripal and his daughter Yulia were found unconscious on a bench at a shopping centre in Salisbury. London said they had been subject to poisoning with a military-grade nerve agent. London accused Moscow of staging the attack, saying it suspected Russian nationals Petrov and Boshirov of executing the poisoning and claiming that they worked for Russia's military intelligence. However, Moscow has repeatedly noted that London has not provided any evidence proving its role in the poisoning. Petrov and Boshirov, in their turn, denied their involvement in the attack in an interview with RT. They said that they had indeed visited Salisbury on March 4, but went there for tourist purposes, noting that they worked in the fitness industry. Russia has said that it has sent over 70 diplomatic notes to the United Kingdom calling for cooperation in the case. London, however, has left them unanswered; instead claiming that Moscow has refused to cooperate on the issue.